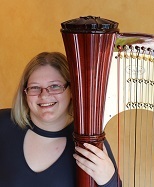 Ashley Crosland received a scholarship to study harp at DePauw University School of Music where she earned her Bachelor of Music in Harp Performance as well as a B.A. in Theatre Performance. 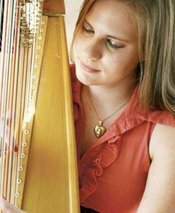 She performs for weddings and special events throughout Atlanta and the southeast and offers private lessons in harp. Ashley brings passion and blissful peace to the minds and hearts of all who have the pleasure to hear her play her harp. For the past fourteen years, she has devoted her life to the harp traveling the world to broaden her musical horizons through learning and performing. From playing harp on the streets of South America, to studying Celtic folk music in Ireland to learning and performing Bollywood music in Bombay, India, Ashley has been living a musical escapade! Katherine Cook is a graduate of Kennesaw State University where she studied clarinet performance. She has performed internationally in China and South Korea and studied abroad at Hanyang University in South Korea with clarinetist Changhee Lee from the Seoul Philharmonic Orchestra. A local of Metro-Atlanta, Katherine has taught clarinet lessons in the Forsyth County area and enjoys arranging classical works for clarinet ensemble in her free time. She is excited to begin her journey on harp and to share her passion for music in all its forms. Rhett Barnwell is a composer, arranger and performer, and the founder of Seraphim Music, which publishes sacred, classical and meditative music for lever and pedal harp. He has concertized extensively in the United States and in Rome, Venice, and Florence, Italy, and Ireland. A specialist in classical and sacred music for the lever harp, he has been in demand as a presenter and performer at conferences such as the Southeastern Harp Conference, Somerset Folk Harp Festival, Harp Journeys, Beginning in the Middle, Harp Gathering and others. He has organized biannual Liturgical Harp Conferences since 2007. He has given workshops and concerts for American Harp Society Chapters in Washington, D. C., Minneapolis, Nashville and New Orleans, and is regularly commissioned to write new works. Mr. Barnwell earned a Master of Music degree from St. Louis Conservatory and did post-graduate Doctoral study at the University of Georgia. In addition to the harp, he also plays the cello, French horn, and organ, and has performed with the Spoleto Festival Orchestra, Orquesta Sinfonica de Tenerife, AIMS Festival Orchestra in Austria, South Carolina Philharmonic, Charleston Symphony, and other orchestras. He has served as a Director of Music and Organist for churches in the Southeastern U. S. since 1983. Tyler started harp lessons at the age of six with Atlanta Opera harpist Susan Bennett Brady. She began her collegiate studies at the Eastman School of Music, where she was a recipient of the Eileen Malone Scholarship and studied under Kathleen Bride, and later attended Kennesaw State University, where she was 2011’s Concerto Competition winner with the Boieldieu Harp Concerto. An avid performer, Tyler serves as principal harpist for the Gwinnett Ballet Theatre Orchestra and the Georgia Philharmonic Orchestra and second harpist for the Georgia Symphony Orchestra. In addition, she frequently freelances with various regional groups including the Columbus Symphony Orchestra, Macon Symphony Orchestra, Atlanta Philharmonic Orchestra, North Georgia Symphony Orchestra, South Florida Symphony Orchestra, Coastal Symphony of Georgia, Jacksonville Symphony Orchestra, Valdosta Symphony Orchestra and the Atlanta Wind Symphony. Tyler provides private lessons and ensemble training at the Atlanta Harp Center and in Woodstock to lever and pedal harp students of all ages. Her students have won positions in prestigious youth orchestras and summer festivals throughout the Southeast and beyond. Tyler currently serves as Secretary of the Georgia Chapter of the American Harp Society and lives in Woodstock with her two fancy rats, Lyon and Healy. 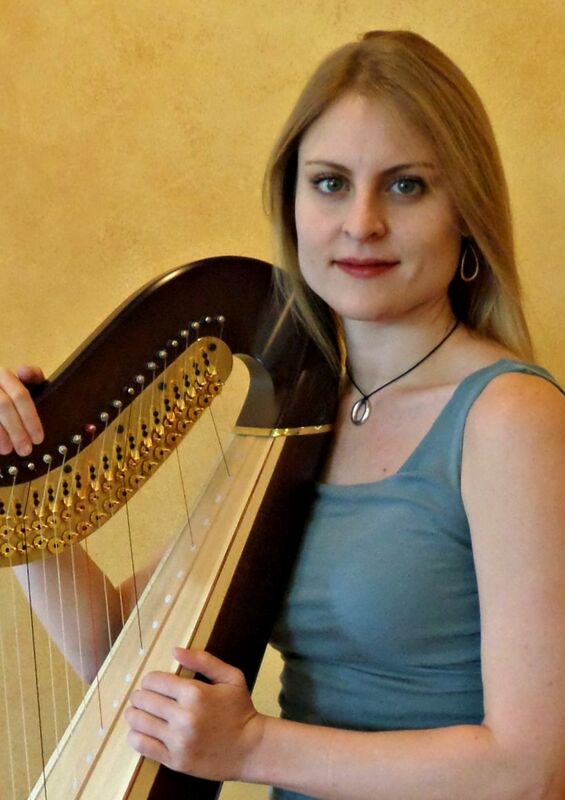 According to legend, Julie Koenig was the Atlanta Harp Center's first customer. These days she works part-time at the store, tuning showroom harps, restringing consignment harps, and filling orders for strings and music. 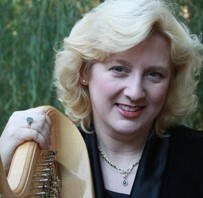 Julie has been a professional freelance harpist since 1980. An Ohio native, she played with the Dayton Philharmonic and holds a Bachelor of Music degree in Harp Performance from the University of Cincinnati College-Conservatory of Music. She came to Atlanta in 1990 and is principal harpist with the Georgia Symphony and DeKalb Symphony orchestras, as well as a sub for the Atlanta Symphony Orchestra. She also performs frequently with several Atlanta area choral groups and plays for many weddings. In her spare time, Julie can usually be found walking the world's most beautiful golden retriever.